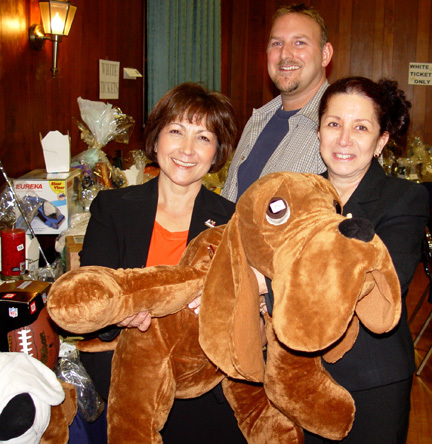 Mid-Bergen Rotary Club held its 29th Beefsteak & Chinese Auction on Friday November 4th, 2005 at the VFW Hall in Hasbrouck Heights. It proved to be a great success. Club President Ruth Nebiar thanked everyone who attended, volunteered or generously donated prizes or cash. "You are truly an example of Service Above Self" (Rotary International's Motto). Fun was had by all with dancing and music provided by Rotarian Dan Shiver of the Paterson Rotary Club. High school students from the Interact Club of Bergen County Technical School in Teterboro helped set up and were prize runners throughout the evening (Interact is Rotary International's service club for young people ages 14-18). 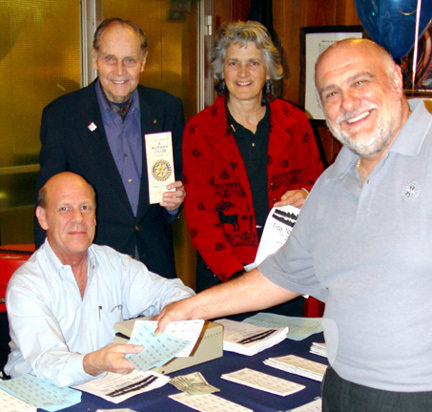 Over recent years Mid-Bergen Rotary has donated and supported organizations both within the community and worldwide: The Faith Foundation, Emmanuel Cancer Fund, Aviation Hall of Fame, Habitat for Humanity and the Wheel Chair Foundation. The focus with this year's Beefsteak event was the Gift of Life and the Dictionary Project. The Gift of Life provides life saving cardiac surgeries to children from around the world. Currently Mid-Bergen Rotary is sponsoring an eighteen month old boy from Mexico who underwent a heart operation on November 2nd at the Maria Fareri Children's Hospital, Westchester Medical Center, Valhalla, New York. The Dictionary Project is a community project that ensures that every third grade school child within its service area of Hasbrouck Heights, Wood-Ridge, Teterboro and South Hackensack, receives a dictionary. This has been a great success with students and teachers with over 300 dictionaries donated this school year. 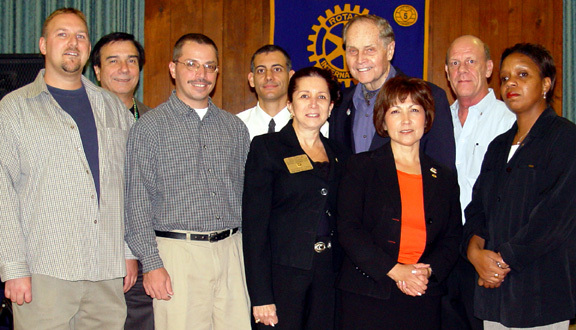 Mid-Bergen Rotary Club was originally chartered as the Teterboro Rotary Club on February 8, 1962. As the 1960's progressed the club grew with members from the surrounding towns of Hasbrouck Heights, Wood-Ridge and South Hackensack thereby prompting its name change to Mid-Bergen. The club meets every Tuesday at 12:15 pm at the Holiday Inn, Hasbrouck Heights.